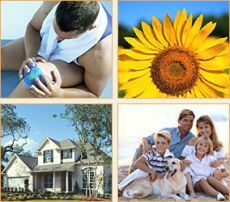 All in 1 Insurance Agency is committed to providing quality protection for hundreds of individuals, families and businesses throughout Connecticut. Providing superior customer service and insurance at the best rate available, along with the ability to understand our customer's coverage needs, drives the success of our agency. We offer a free full review of all your insurance needs be it protection for your Auto, Home, Health, Business, or Life Insurance. We make sure that you're covered today as well as in the future so that you can focus on what is important to you and your family. We do this by evaluating your specific needs; find the company that will give you the best value for your dollar, while supplying a superior standard of protection. The companies we represent offer tested, reliable insurance products and excellent customer service. We make sure that the insurance companies we represent have an outstanding reputation for fast, fair claims service. We encourage you to contact us any way you like to give us the opportunity to help you truly have one source for all your insurance needs!